Sushi: You either love it or you hate it. Seafood isn’t for everyone, so I totally get it. I happen to love it, so I’m always down for sushi-inspired recipes. I mean, one of the best things about living in SF was the sushiritos… seriously. Like the rest of the foodie world, I’m also a huge fan of meals in bowl form. They’re easy to prep and don’t require extra utensils, or even dirty hands. Just a girl and her spoon. 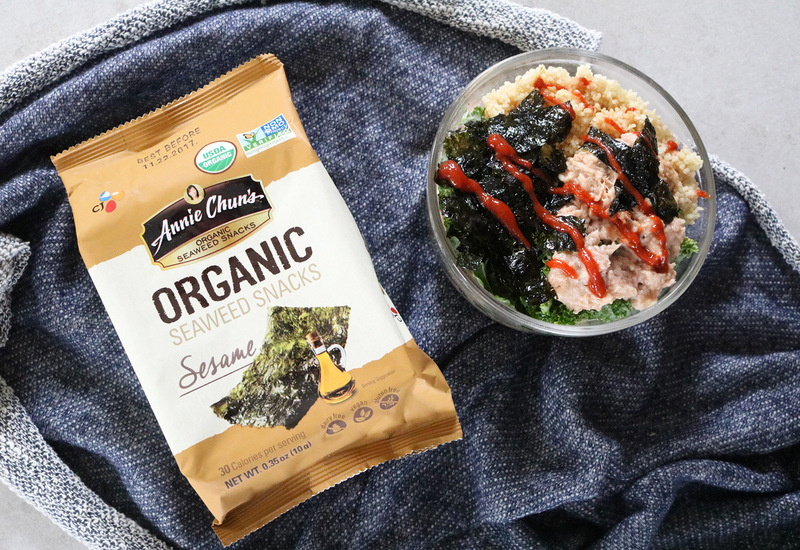 So, when Annie Chun’s challenged me to make a recipe with their Organic Seaweed Snacks, a “sushi” tuna bowl had to happen. 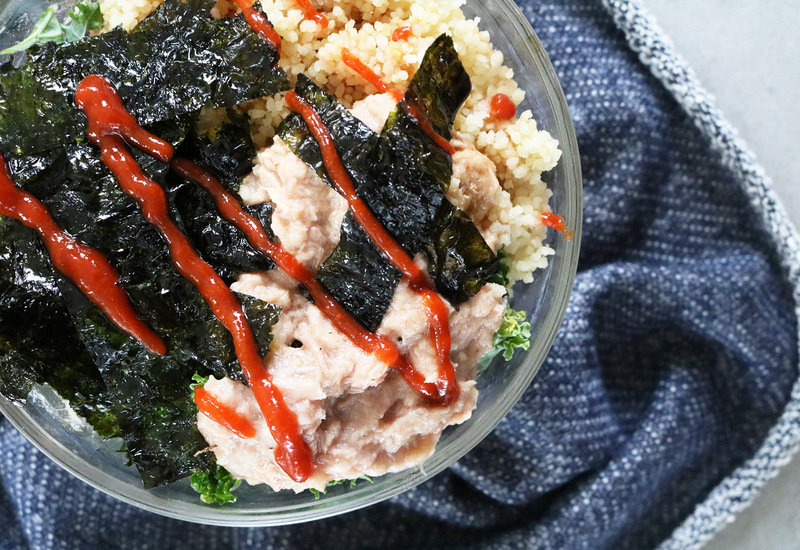 The kale brings in a ton of vitamins, while the quinoa and tuna bring in a lot of protein. Yes please. Combine fish of your choice with mayonnaise or avocado. In a bowl, add the quinoa, kale, and sriracha-fish mixture. Tear, shred, or cut the roasted seaweed snacks and add to the bowl. Drizzle on more sriracha, if desired. The sesame seaweed snacks are insanely addictive. I definitely copped a few while shooting this recipe! They’re super savory, but if you want a spicy kick, reach for the wasabi version. There is even a brown sugar & sea salt flavor, too. Yum. 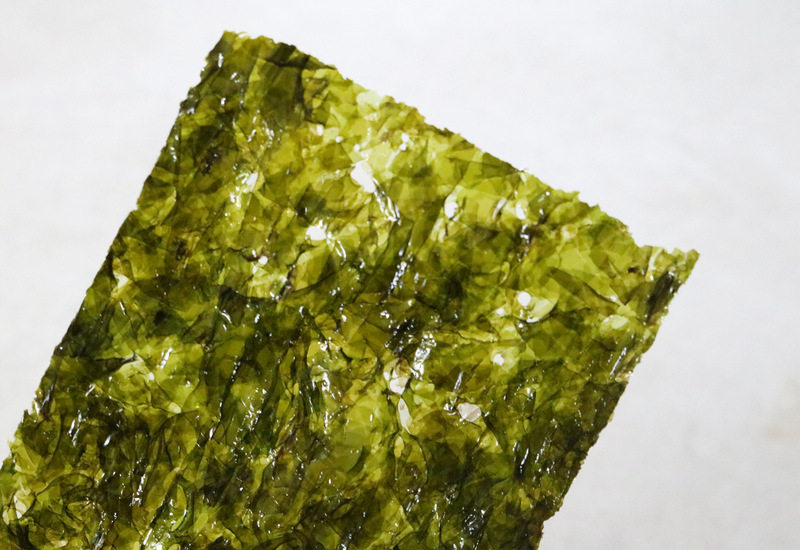 The Roasted Seaweed Snacks are vegan, gluten-free, and dairy-free. Annie Chun’s also makes Seaweed Crisps, which would work well in this recipe. Something tells me that this entire mixture would taste amazing in a rice paper roll. Looks like I know what I’m making next. FTC Disclaimer: Annie Chun’s Organic Roasted Seaweed Snacks were provided by Annie Chun’s and Havas Formula. All thoughts and opinions are my own; I only collaborate with and feature companies that I truly support. Thank you, Annie Chun’s!